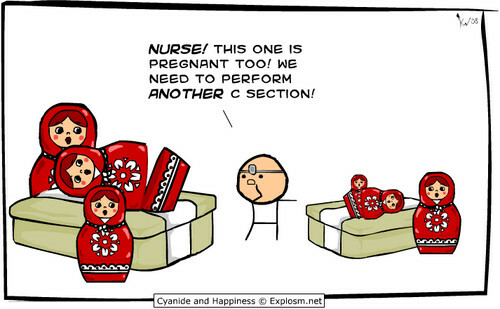 I read an article online last night, which talks about the cons of having a C-Section. Here is the link, have a read (it’s not very long) and then come back and read my response below…I am less than impressed by the author’s single minded comments. What utter nonsense! This is such a biased, narrow minded article. The author and Mothering Magazine should be more careful when posting one sided views so recklessly. Many women have traumatic experiences with C-Sections, but women who give birth naturally can also be traumatized by their experience. There is no right and wrong way – it is a personal preference. The article has focused on the women who had emergency C-Sections – key word: EMERGENCY. Any sudden change to your birth plan at the last minute would be traumatic for anyone, but C-Sections should not be shamed to the corner so quickly. I understand that there are complications linked with C-Sections, but hey, unless you live under a rock you will know that there are also complications linked to Natural births. Having a baby is a massive strain on a woman’s body, and nothing goes perfectly all of the time. Things happen that we can’t always predict and it then becomes an issue of how the situation is handled going forward. We all know the potential risks of having a baby, whether you push that giant watermelon out of your va-jay-jay, or it is cut out of you like a tumor – either way it can be dangerous. If you don’t know that, then you have no business having a baby in the first place. Our first child was born Feb 2013 – a gorgeous little girl. For majority of the pregnancy we had decided to go the ‘natural’ route, but a month & half before she was due the doctor advised that we should consider C-Section earlier due to how much she had grown in the last month. It was the best decision we could have made because when she was delivered, her arm had been pinned in an awkward position, reducing blood flow. If we had waited until full term then there was a high risk that she could have had permanent damage to her arm functions. BUT, because of our decision, based on our discussion with the doctor, she was perfect and my recovery after the C-Section was (what I would consider) a breeze. I was up and out of the hospital bed the next morning, having a much needed shower, and walked around the nurses station on and off during the following days to stretch out my muscles. I experienced minimal pain for the first week at home and was pretty much back to normal and able to drive by the 3rd week (I use the term ‘normal’ quite loosely considering that a newborn = no sleep). The scar is practically non-existent and guess what…I am about to do it all over again in March 2015, when our son will be born – also C-Section. I am not scared or concerned about anything because I have total trust in my brilliant OBGyn. I think that is the real difference between a great experience and a traumatic one – how did your OBGyn handle the situation and did he/she keep you and your partner informed on what was going on so that you could be as prepared as possible (I said prepared, not paranoid). We can’t control everything, but if you have someone who is experienced and is able to keep you calm and give you the professional support that you need, then there is no reason why either option, Natural or C-Section, cannot be the best experience of your and your partners lives. For me personally, the most traumatic part of having Paige was the breastfeeding (a story for another post). 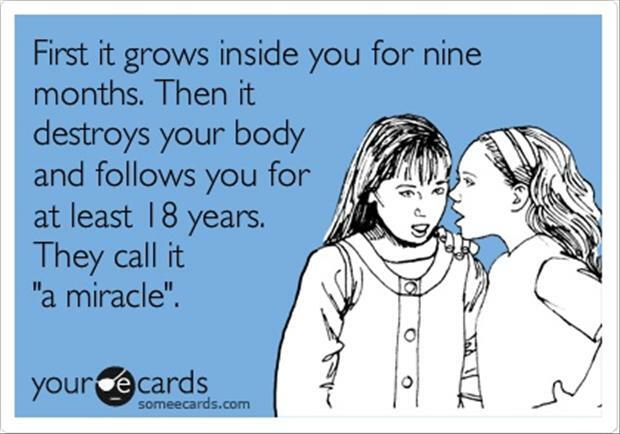 Childbirth is a miracle – no matter which route you end up having to go. As soon as you focus on that, then you can make the decisions that are right for you. Don’t sweat the stuff that you can’t control, just do what you need to do to get your new baby safely into this world. We had my first OB GYN appointment on Monday. It reminded me of the main thing I look forward to at each appointment during pregnancy – the little heartbeat. It really does get me every time. Seeing that little flicker on the screen just fills my heart with so much love for this little bean. 8 weeks along and Dr H says everything looks great with strong heart beat and pretty much “normal” across all checks. 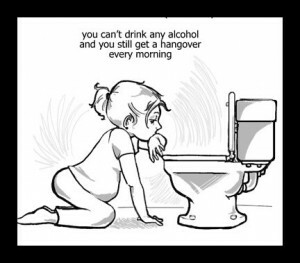 Now onto the point of this post…drinking booze while pregnant. My personal take is that while it is considered safe to have a glass of red wine every now and then, I would rather just avoid it completely. It really isn’t that hard and I could probably count on one hand the amount of times I actually really wanted a drink during my last pregnancy – and even then the feeling passed quite quickly. Never mind the fact that I am one of the lucky ladies who gets to experience all-day-sickness during all three trimesters of pregnancy, and I think that dehydrates me enough without adding liquor to the mix. The funny side to all of this is how people seem so sad that you can’t drink. Why? You are not pregnant. Nothing is stopping you from boozing it up, and there really is no need to apologise to me when you order a beer or wine or shot of something na-sty while I am waiting for my lime and water. It’s not like I got knocked up by a random or anything, that this was done to me without my consent. I made this choice with my hubby, this is what we wanted, so obviously I accepted all of the terms and conditions that go along with pregnancy before the ‘seed was sewn’ (as they say – I don’t know who ‘they’ are but ‘they’ say it). The reality is, I have always been able to have just as much fun without alcohol as with it. It really doesn’t bother me. I am actually quite proud of the fact that, even before we started our little family, I was fairly drinking fit but I have always been able to have a jol until all hours of the morning, completely sober, if that is what I wanted to do. And the biggest plus side – I didn’t wake up still drunk or hanging like a half dead bat the next morning! Anyway, morning sickness is kind of like a hangover but without the fun of drinking beforehand, so if you come and hang out with me the morning after your drunken night out of debauchery then it will be like we are experiencing the same after affects – just with different causes. Awesome friends of ours just got hitched this last Saturday and we were there until just before the venue closed, and the weekend before that I was away for an overnight girls escape for the bride’s 70’s Disco themed hen party, and I stayed up just as late as the die-hard drinkers. I got dressed up and danced the night away and had an absolute blast – completely sober…Yes you naysayers, it can be done. My second trimester carrying Paige can only be described as the calm before the storm. The bump had grown all of a sudden and instead of just looking like an fatty version of myself after consuming 10-to-many cakes, I actually looked pregnant! Which made me feel better about this whole drawn out process. After all – how can one glow when no one can even tell you should be glowing? I was (thankfully) able to sleep quite well at night, and had not experienced any adverse side affects of carrying a little being in my belly (other than the persistent morning sickness, and even that had mildly improved), and the heartburn had also eased off. Still no weird cravings and the smell of coffee did not send me running to the loo to upchuck anymore – but wow, it still tasted AWFUL. I tried a few more times to drink it but my taste-buds just refused to co-operate, and the once smooth taste of caffeine had now become a liquidised piece of burnt toast…yum. One of our favourite parts of the second trimester was (at last) finding out what we were going to be blessed with…and no, we were not one of those couples who wanted to keep it a secret and be surprised ourselves when “it” finally arrived. Instead, we wanted to be able to refer to “it” as “he” or “she”, so that it didn’t sound like I was going to give birth to an unknown creature that crash landed with a meteor from space. We found out at our 16 week appointment – well, Dr H thought it might be a girl but he didn’t want to say so in so many words as he was not 100%. She was a wriggler. The 20 week appointment confirmed it though! We were going to welcome a little bundle of “sugar and spice and all things nice”. We began talking about names, which was a monumental task in itself. Until you are about to have a child of your own, you don’t actually realise the thought that has to be put into coming up with a name for someone that has not even arrived yet. They have to live with your choice for the rest of their life! Terry and I basically each wrote a list of names that we liked, and then swopped, and then scratched names of each other’s lists, then swopped back to see the edited versions. There were a handful of gorgeous girl names that we had both written down so clearly our choice would be one of them. A brilliant idea was to run a few of our maybe options past some of our friends and if they came up with any horrid nicknames then it was scrapped…immediately…and our friends are quite a creative bunch. And so by the end of the second trimester, we had already settled on a name for our daughter-to-be. Now when we spoke about “it” we could rather say “she” and “Paige”. 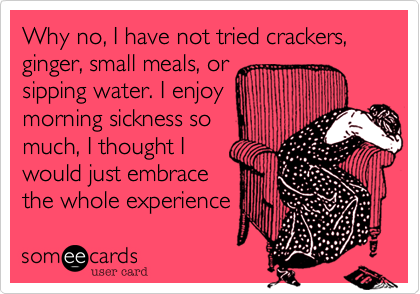 I have said before that during my pregnancy, while carrying Paige, I suffered terribly with all-day-sickness for basically the entire pregnancy. I also said that it was totally do-able and I would repeat in a heart beat for my next pregnancy, if it meant a healthy bundle again. 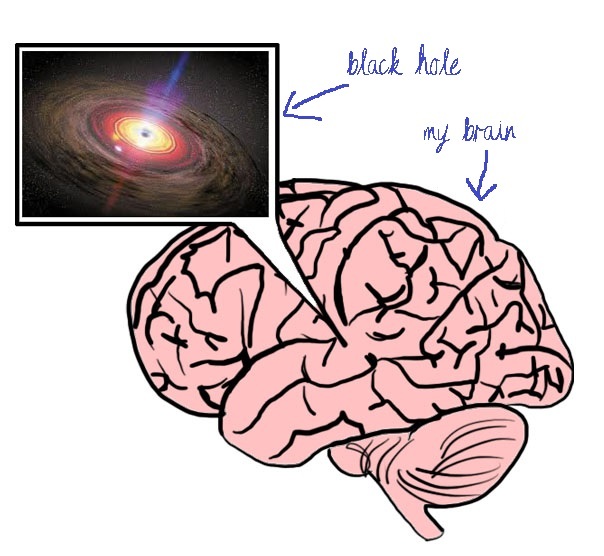 The one side affect of pregnancy that i (literally) could not get my head around was the mushyness that was my brain. I can be quite a messy person in my personal life (what I refer to as organised chaos), but at work I am usually a picture of order and everything has (had) its place in my office. There is a clear system that I have worked hard to put in place so that – should I get abducted by aliens or run over by a steam train – the person who picks up my job will be able to do so with as little fuss as possible. *SLAP* – there went that idea, right out of the door, and sucked into the black hole that had become my brain. The first trimester was fine, then the occasional forgetfulness would take over with minor things in the second trimester, but wow, the third trimester was a whole different story. All of a sudden, my well structured systems at work made absolutely no sense. It was as if someone had sent my body an email, and when my brain opened it – *ZAP* – it deleted as many files as possible, never to be recovered again. And speaking of emails – I was literally sending myself emails with reminders and checklists of basic things that i needed to do – it was ridiculous. You hear of silly things that pregnant women do during this forgetful stage, and you think to yourself – that isn’t so bad, I can handle that. But you can’t. People lie. It is way worse than anyone is willing to tell you. And there is no external backup that you can just plug into and restore what was lost…there totally should be though. I lost an entire file at work! One day I was working on it and then I left it on my desk to continue the next morning, but the next morning…it was gone. Where did it go? Is it with the mis-matched socks on that mystery island? Or do items lost due to preggy-brain have their own island? All I know is that I once made tea without boiling the kettle (gross), I put the sugar in the fridge and I locked my keys in my car (for the first time EVER I must just say), while I was at a shopping centre gettingg groceries – Terry had to leave work to bring me my spare set of keys. And this didn’t happen every now and then…no…things would be forgotten and mis-placed on a regular basis. It was probably the most frustrating part of being pregnant! Thank goodness my brain went back to normal after Paige was born. Well, kind of normal anyway. Oh, and if anyone ever does discover a mysterious island with random household and office items just lying around – feel free to get in touch with me, because I never did find that file. Okay, so I came across this blog post by The Ugly Volvo and oh my heck can I relate, so I just couldn’t help myself and had to share a few of my favourite parts. …Listed below are the reasons my mother has always given me for why I shouldn’t get a tattoo. And I understand that she’s from a different generation…I’m just saying that after having a child, I find it really hard to take any of them seriously. Yes, a tattoo is forever. Totally forever! Except that a tattoo can, if needed, be erased with a laser. It will! Like jobs where you need time off to take care of your kids when they get sick! Or jobs where they’re only hiring guys because they feel like hiring women is a liability! It totally will, right? Also what will sort of ruin it is carrying another human inside your body for the better part of a year and then pushing it out an opening ten centimeters wide and then attempting to breastfeed it. Followed by the stress of trying to raise it to adulthood. Let me know if doing all that ruins your body any more or less than the butterfly on the small of your back. It is SO expensive. There are tons of basic costs at the beginning but I can’t even explain how much it’s going to cost to put this tattoo through college. You’re right, I’m totally going to want to strangle it in fifteen years. Judging from my Facebook newsfeed, yes, everyone does have one. Maybe part of why I wanted one was actually wanting one, and part of why I wanted one was peer pressure. Sorry, I couldn’t hear that last one. I was screaming the phrase, “DON’T EAT THOSE BUGS,” while pulling pieces of sweet potato and banana out of my hair and coat pockets. I mentioned in my last post that I suffered with “morning sickness” all day, almost every day, for my entire pregnancy. It was definitely worse in the first trimester though. I would wake up each morning feeling great…for a second…and then the nausea and uncontrollable urges to toss my tum would quickly take over, causing me to briskly walk to the loo to blow whatever chunks were left from dinner the night before (usually nothing). I tried everything that experienced moms, grannies, aunties and strangers could suggest – ginger tea, crackers, sipping water all day, etc etc etc – nothing worked and most of the time when I did eat or drink something within an hour of waking up, it would end up in the toilet anyway, so what was the point. The most annoying part about it was that I spoke to all the ladies in my immediate family (mom, gran, sister, aunty) who had already had their kiddies, and not a single one had experienced morning sickness, not even for a day or a week or a month, in any of their pregnancies. For my first trimester I would basically dry heave each morning and then feel better for enough time to get dressed, drive to work and check my emails, dry heave again then have some breakfast and tea at around 10am. The nausea would stick around for most of the day and some nights I would feel so green again that all I would manage for dinner was some marmite on a slice of toast. I lost around 8-10 kilograms in my first trimester – who would have thought that being a little chunkier to start would have helped me get through those first 3 months. Dr H was not too concerned about the weight-loss and he said that the bean would take what it needed, and as long as I wasn’t fainting all over the place from lack of nutrients then it should pass in a few months. My second trimester was just as eventful. I would have good days where I would only have nausea and then a few times a week I would also be physically ill on and off during the day. For a few weeks my diet consisted of 2-3 crackers in the morning, a mashed banana for lunch and the ever-trusty marmite toast for dinner, with a few peanuts and raisin nibbles during the day. It reached a point where Terry put a tupperware container next to my side of the bed, containing cream crackers and marie biscuits, so that I could nibble on one before I even sat up in the morning – that would help a lot. The third trimester was better, with more days of just nausea, and less days of actually being sick. And I must just add that a few of my girlfriends thought I was completely batty by now as their questions about how I was feeling would be answered with “I wake up, I throw up, I brush my teeth and I get on with my day – it has become part of my routine”. Well, on the day of my c-section (will explain about this another time) I was scheduled for surgery at 7h30 am, and could not eat or drink anything for roughly 12 hrs beforehand. The kicker is that another preggy lady came in with an emergency and so I got “bumped” to about 9h30 am. By the time they rolled me into theatre I was feeling so ill from morning sickness that I had up-chucked three times! The nurses kept telling me it would be fine and I didn’t need to be nervous, and Terry and I kept telling them that it wasn’t nerves, it was “all-day-sickness”. The thing is, there are baby books which tell you all about how things normally go, based on an absurdly small average number of pregnancy experiences around the world, and just because you mom or sister or aunty had a “textbook pregnancy” it doesn’t mean you will. Just to be clear, the “all-day-sickness” was awful, but I would choose to have the same again in a heartbeat if it meant that everything else went well and that I would be blessed with a healthy, happy baby again. A little up-chucking here and there for 9 months was a fair trade for having zero complications. My husband, Terry, and I decided it was time to add to our family, so early 2012 we started “practicing”. In May/June 2012 we found out I was pregnant and that news put idiotic grins on our faces for weeks. We did our best to keep it all hush hush for the first trimester but were just so ecstatic that after 3 weeks we told EVERYONE – and I do mean everyone! We told our immediate family and gave our moms the go ahead to do their “yellow pages” duty and spread the word to relatives spread across the globe. We told our close circle of friends at a braai, but a few of them said they had already become suspicious because I had not been having my usual 2…3…4… drinks with them in past weeks. And we announced to the rest of our distant friends and family on Facebook. Needless to say it was an exciting time and we received so many well wishes. The general feeling for Terry and I was that of possibility and an adventure into the great unknown…even though gazillions of people before us have successfully brought a baby into this world. At 4 weeks it was all rainbows and sunshine and everything was going great. At 9 weeks I was experiencing the well know phenomenon known as “morning sickness”, except I was getting it on and off all day long, every day, from the time I woke up, ’til the time I fell asleep at night…*awesome*. On the plus side, I had my first OB/GYN visit with Dr H, and Terry and I were like a couple of little kids going to our first circus. Seeing that tiny bean for the first time made it all real, but hearing that steady little heartbeat was a life changing experience for both of us. Dr H used the scanner to poke and prod my mini-belly (which kick-started a few giggle outbursts on my part) and announced that everything looked great and he would see me in a month. At 11 weeks the headaches began and the feeling of “ghosty” period pains seemed to come and go as they pleased. It was right around this time that Terry decided that there was “no time like the present” to search for and purchase a cot. We found the perfect one in our local Toys & Babies R Us, which was priced at R3000 – apparently a good deal – so Terry and I, being the practical people we are, began scouring the 2nd hand baby goods sites, and Gumtree found us a winner. The exact same cot, pre-used, for half the price – SOLD! We phoned up the seasoned mommy and met her in a shopping centre parking lot, paid the car-guard R10 to help Terry move it from one bakkie to another, and we were on our way. At my 12 week scan the tiny bean had grown some, and definitely looked more like a baby and less like a bean. It is the most amazing feeling, seeing the scan of what is going on in your tummy, and knowing that you and your partner are responsible for the creation of life, and then your mind takes a small step towards the realisation that you are responsible for a life.